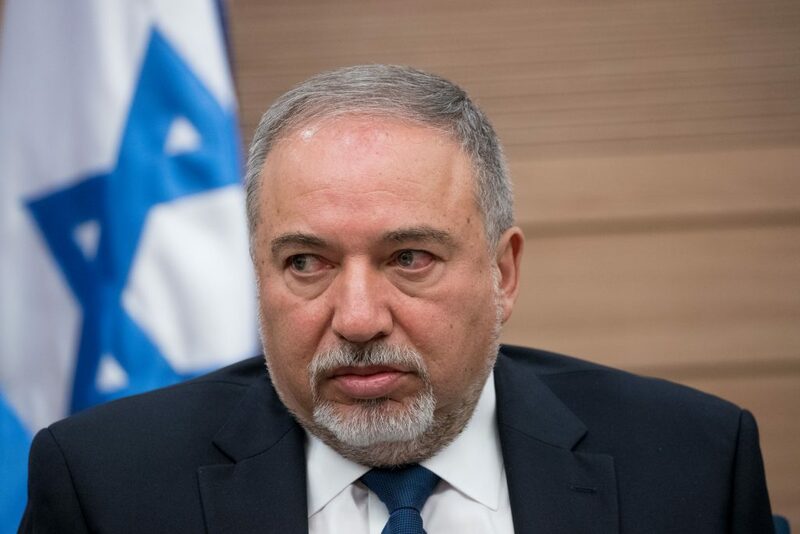 The rift between Defense Minister Avigdor Liberman and the father of a recent terror victim widened on Wednesday as the latter demanded the minister be removed from his position. In a letter to the families, Liberman said that it was impossible to have an “open dialogue” with them under such circumstances. “This man cannot govern. If, G-d forbid, a war will break out, can you trust a person like this who cannot come and give me an explanation as to why he wants to do half the job?” Levengrond said of the order given to demolish the basement and first floor of the terrorist’s home. “I do not believe that Lieberman would have wanted to destroy the entire house. He is afraid that the court in The Hague will not allow him to travel around the world,” he told Hadashot news. The defense minister didn’t attend the levayah or come to comfort the family during the shivah. “He is bombing Gaza in the most crowded place in the Middle East, if not in the entire world, and no one is scratched. Is he laughing at us? Does he know what is going on in the Gaza vicinity? A man like this cannot be defense minister. I will fight to remove him as a member of Knesset! “So, in short, you are doing nothing. Listen, they destroyed my family, why are you taking this into consideration?… As far as I’m concerned, if you’re going to demolish a corner of the house, don’t destroy it at all, leave it standing,” he was heard saying. During the call, a defense official attempted to explain to Levengrond that there are “legal impediments” to demolishing the entire home, because there must be “direct connections” between the terrorist’s home and the attack. Meanwhile, Israeli security forces cordoned off the home of Ashraf Na’alowa, in the village of Shuweika in Shomron. Live video footage from the scene posted by Quds news service shows large numbers of soldiers, along with armored jeeps and at least one bulldozer in the village, outside Tulkarem. The army confirmed that it was “currently involved in search operations” for Ashraf, but refused to comment specifically on the operation in Shuweika. On Tuesday, the IDF said it rejected the appeal, and re-issued the demolition orders for part of the home. A notice distributed by IDF Central Command, Maj. Gen. Nadav Padan, said the basement and ground floors of Na’alowa’s home, where the suspected assailant lived, would be destroyed.